With the first part of free agency done and the draft now in the bag, there is no better time to begin the Fernando Velasco fan club, where we worship everything about the handsome man featured above. Seriously, look at him. That's a starting offensive lineman right there. David DeCastro? Blah. Peter Konz? Yeah, that one still hurts. David Molk? Meaningless. Fernando (seriously just type that name and try not to be happy) is the future of our interior offensive line. Feel free to bash the awfulness featured below (Note: Picture was taken after Awful McTerrible was informed that Fernando Velasco was coming for him, his wife and his job). Seriously though, how has Velasco not beaten this clown out? Every time Fernando has been on the field, he has looked decent-to-good in my opinion. Am I the only one who has seen this? Wasn't there a game just last season where he started for one of our injured stooges....and we actually had a good day running the ball? Fernando Velasco started three games in 2010. In them, we went 2-1. Chris Johnson ran for 329 yards on 57 carries, a 5.8 yard average. This season, Harris went down with an injury against the Browns, Chris Johnson had his first 100 yard game of the season. These are not coincidences. The entire team is better when Fernando Velasco is on the field. Period. 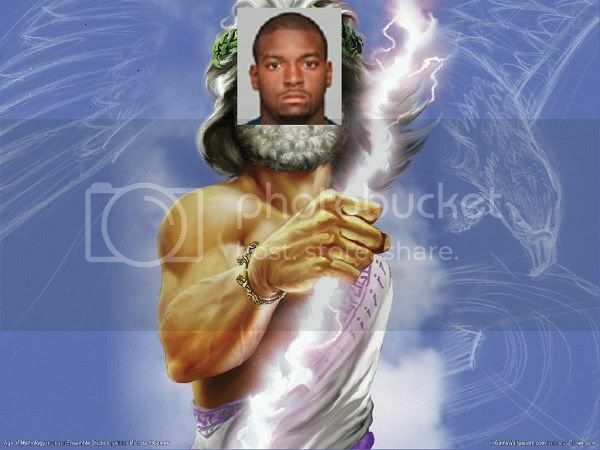 320 attempts, 1680 yards, 5.3 yards per carry, 12 touchdowns. 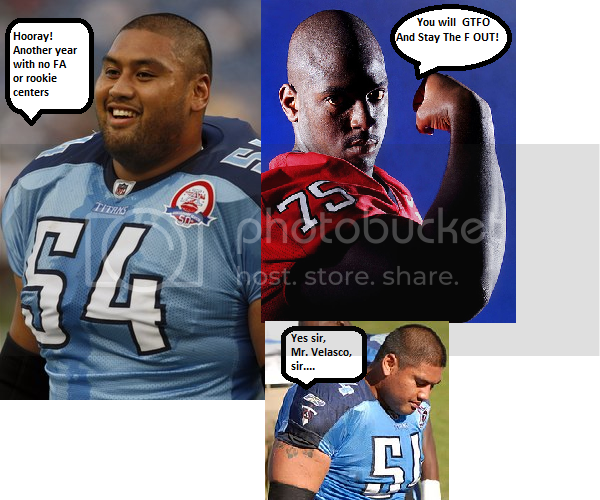 Important note: If you google Fernando Velasco NFL Draft, this thread is the fifth thing you will see. The entire team is better when Fernando Velasco is on the field. Period. I didn't actually know all this about Velasco. Maybe this is the reason the front office hasn't addressed the position by bringing in other talent? Hopefully the Titans are willing to embrace a competition for the position. Amano must go. Adopt-A-Titan 2016: Mike Mularkey, the most misunderstood coach in NFL history. Also Ryan Succop, I guess. Can William Vlachos also be added to the club? Hedge our bets against Amano? I'd counter that Amano being on the roster hurt the team more than others being on the roster.